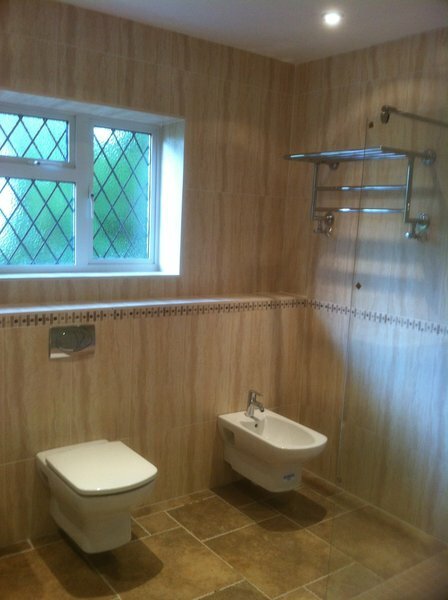 Peter Brown plumbing & heating services is a Family run business established since 1970. 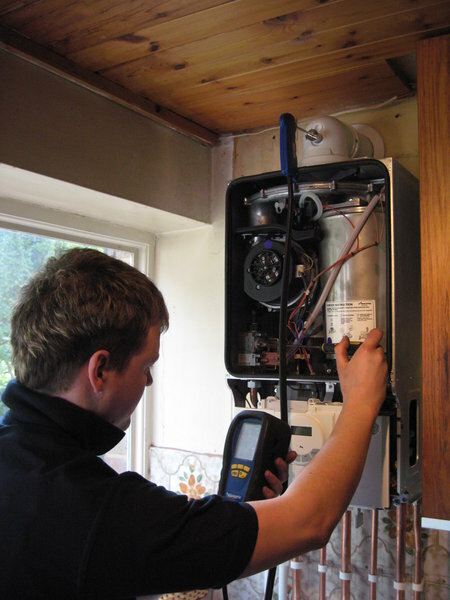 We are Gas Safe Registered & all our engineers are trained professionals, we carry out all types of work from small maintenance & domestic work to installations such as new housing, schools & offices. All of our work is fully guaranteed. We offer an Efficient, Professional Service, at an Affordable price. Central Heating Systems - We can advise & design a brand new, efficient central heating system for any home, school or office. 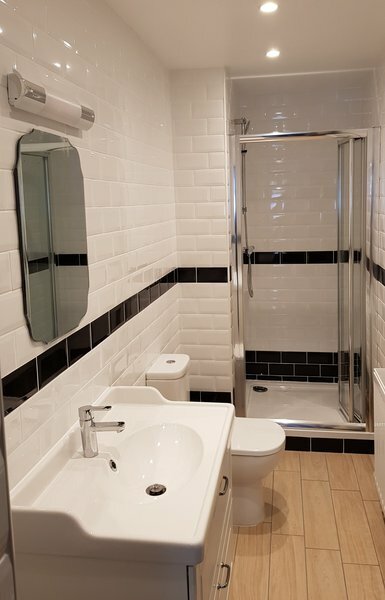 Beautifully designed & installed bathrooms - We can offer the complete package: plumbing, plastering, tiling, electrics & flooring. 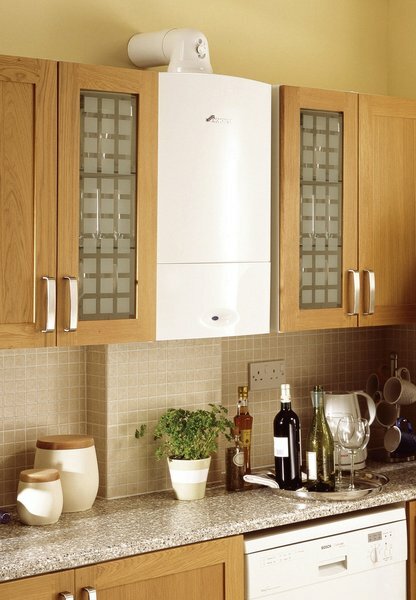 Boiler Breakdowns, Repairs & Servicing - All types of boilers, controls, pumps & cylinders looked after & maintained. Washing machines & dishwashers plumbed & toilets overhauled. 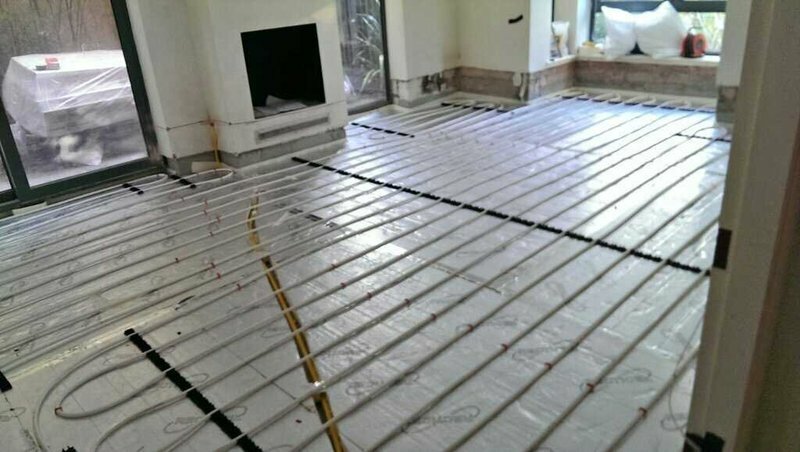 We also install high performance water systems, green energy heating systems, solar power & under floor heating systems. The plumbing trade is notorious for "cowboys" who profess to be experts and turn out to be a disaster. Peter Brown Plumbing and Heating are the extreme opposite of the cowboy trade. Their staff are consummate professionals each having served a rigorous apprenticeship with many years experience in the trade. My problem was that my central heating boiler refused to heat up the radiators. As soon as the engineer (who I shall call Alan) entered the house he diagnosed the problem as a leak in the hot water pipe buried under my kitchen floor. I had visions of my kitchen floor being dug up and weeks of living in a building site. Alan at once proposed a much simpler solution. This was to by-pass the under floor pipe to the surface, probably an hours work. Alan turned up a few days later (early) and I was impressed that the first thing he did was to lay down a dust sheet. Watching him work was a pleasure. 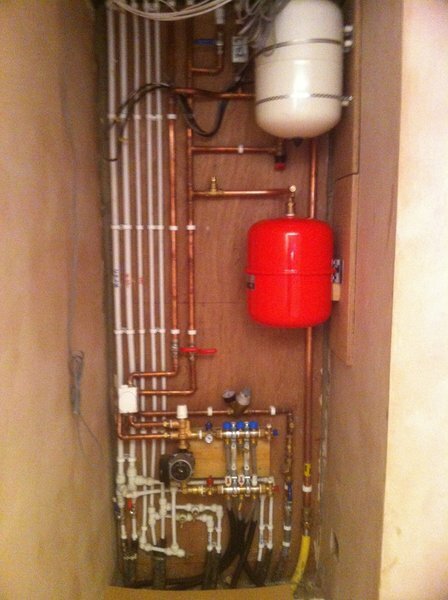 He made cutting and soldering pipes look easy and in less than half an hour the job was done. His cleaning up after was meticulous and you would not know he had been. Alan was friendly, polite and explained in simple terms what he was doing. The central heating system now works perfectly. I would heartily recommend this company. They are not cheap but the service and quality of work are worth every penny. I've only ever used Peter Brown to take care of my boiler. Finally this year it had to be replaced. They were their usual professional selves: the work was done on time and under budget: meticulous care was taken with cleanliness throughout the house during and after the work. Cannot praise them highly enough. I've used Peter Brown Plumbing before and they were the first company I thought of when I needed a plumber again to fix a very noisy toilet flush. They were punctual, efficient and professional from beginning to end. 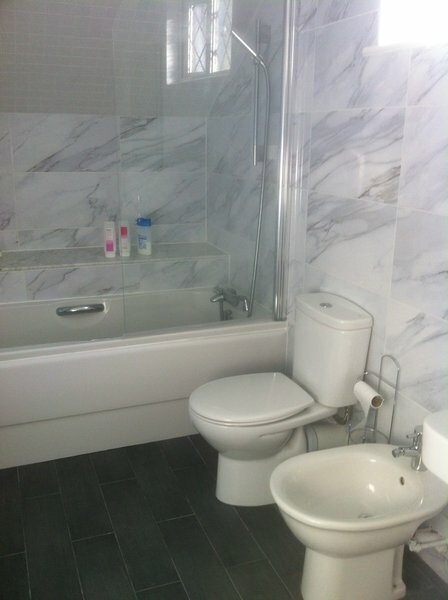 A fantastic company to use, excellent customer service and extremely professional workmanship. Honest and upfront pricing quotes and very friendly workmen who always explain what needs to be done before commencing any work. I will definitely use them again when needed and I highly recommend them to others. We had our boiler serviced and moved a radiator to a different location in a bedroom. The work was first class and did a good job clearing up after themselves. I have used them many times and highly recommend them as it?s good to use a plumbing firm you can trust! 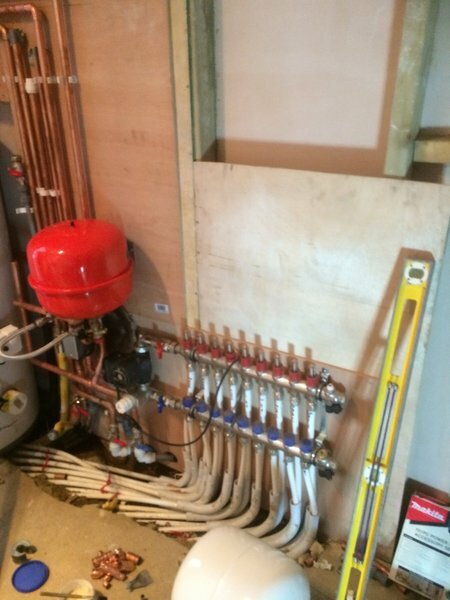 Peter Brown installed a new boiler and I used them again to sort out burst pipes. They turned up as arranged, and I found them very reliable and flexible, and they cleaned up properly after the work was done. 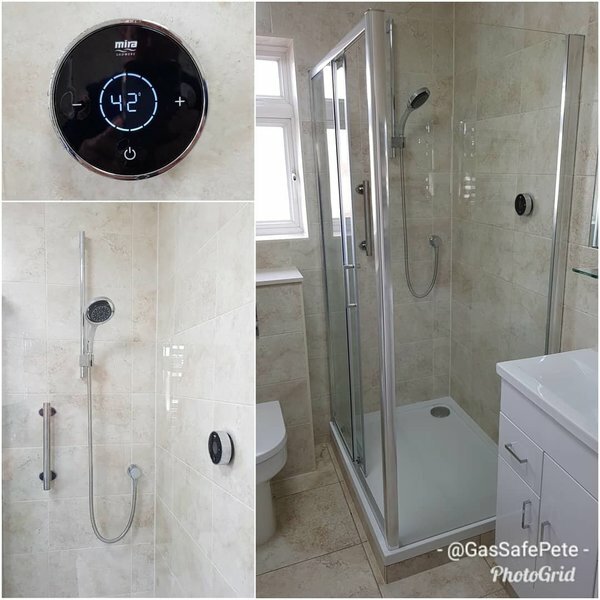 I have used Peter Brown Plumbing & Heating for many services recently, including repairing our boiler, installing a new toilet and re-sealing around our bath. They have always provided me with a highly reliable, professional service with a really high standard of work, always using dust sheets and clearing up after each job. 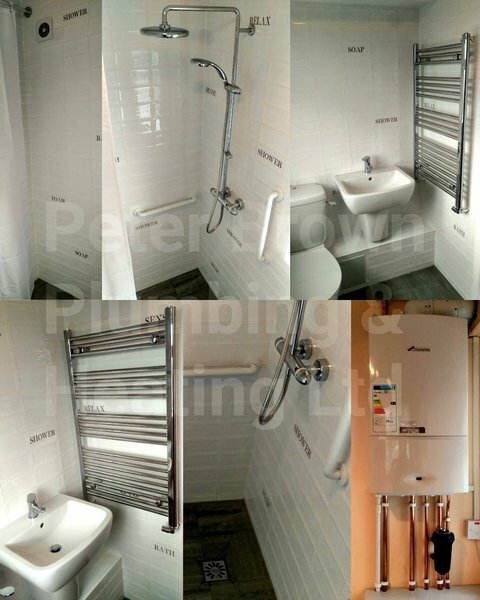 I have since recommended Peter Brown Plumbing & Heating to my family and friends and would not hesitate to use their fantastic professional service again in the near future. Very happy customer! I needed the washers changed in my bathroom and kitchen. Peter Brown came and said he couldn't replace the washers alone, the taps needed replacing. I went to Wickes and bought the taps and a new shower hose and fitting, total £84.48. Peter Brown came and spent 2.5 hours putting them in, charging me £482.40 for the work. Too much. Well called on the client to look at the job, he was given the choice of carrying out the work on our day work rates, he declined and asked for a fixed price quotation, we gave him this, he then booked the job in, we returned to site and carried out the work for the fixed price of £402.00 plus VAT he paid and was happy. I find it surprising that he has written a revue objecting to the cost, if the job had taken all day he would not have paid a penny more. 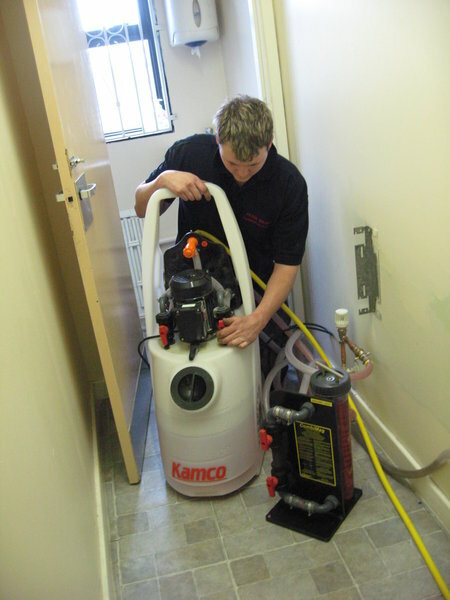 We always treat clients fairly and we carry out a professional service. First class work. Prompt quotation and very helpful.